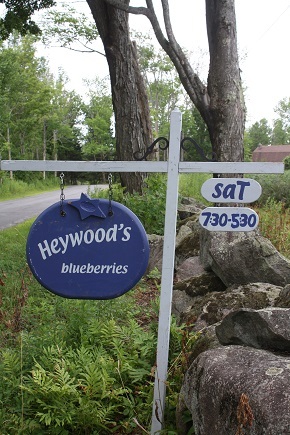 Heywood's Blueberries and Greenhouses is located in scenic Central New York just south of the Adirondack State Park. Blueberries: What started out as about 50 small blueberry plants has grown to approximately 1,200 fully-grown bushes. The blueberry field is "u-pick." Sorry, no pets. We also have blueberry honey (very limited supply). It is made by Burton's Bees and our blueberry blossoms in the spring. We also carry Burton's spring wildflower honey. Greenhouses: For Spring sales we grow a very large variety of annuals, vegetable plants, herbs , succulents and air plants. In addition to your favorites, we also grow some beautiful lesser known varieties that you may want to try out. 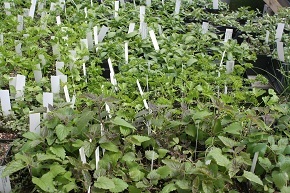 We start all our own plants either from seed or vegetative cuttings. 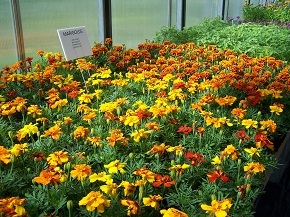 These are available in individual pots and "six packs". We also create a variety of hanging baskets and containers. We will gladly do custom containers and baskets using your choices of container and plants. We also ready to make suggestion when requested. The greenhouses are open from Mother's Day weekend through mid-June.